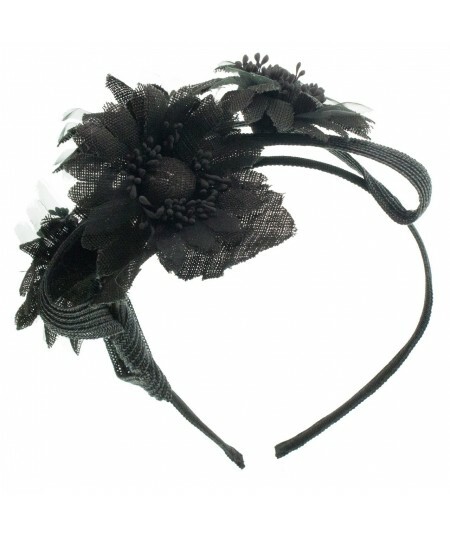 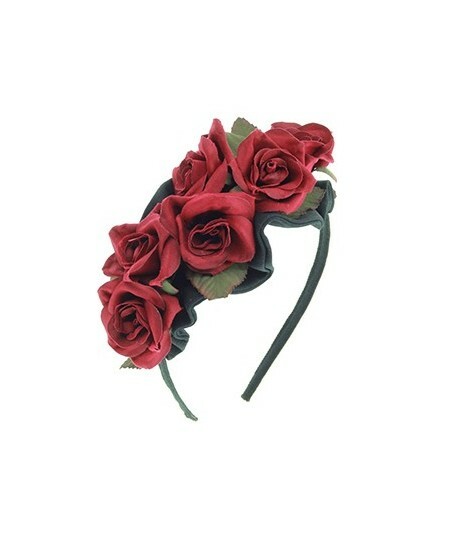 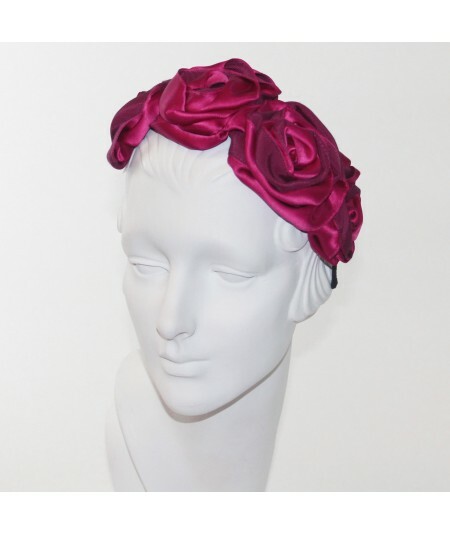 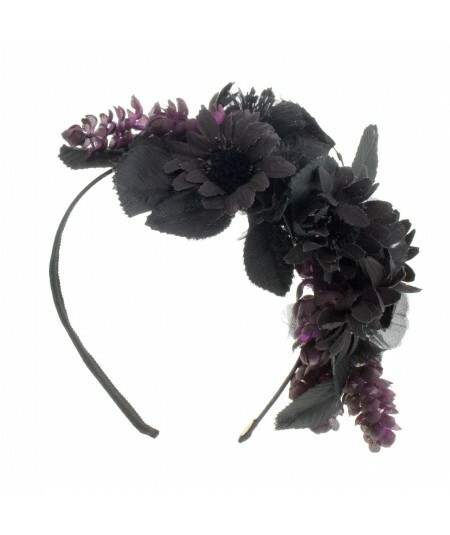 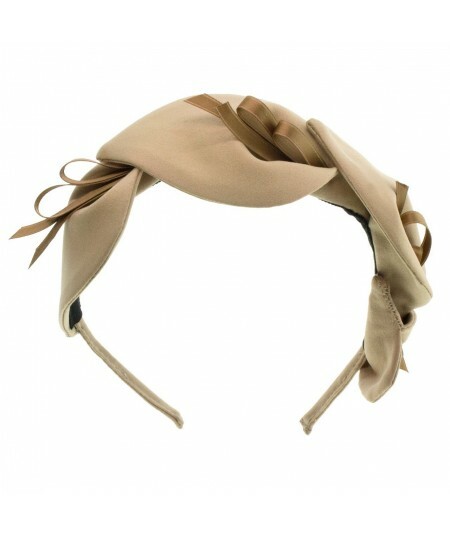 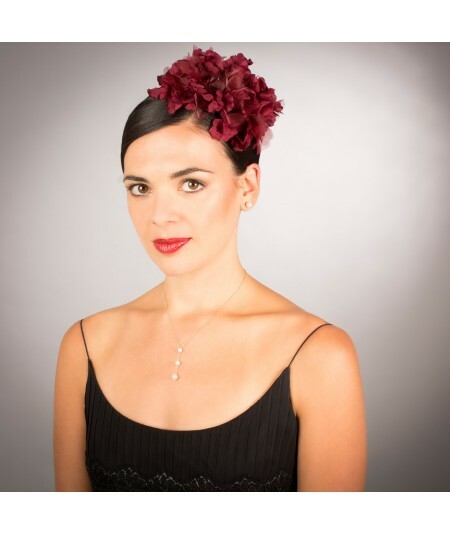 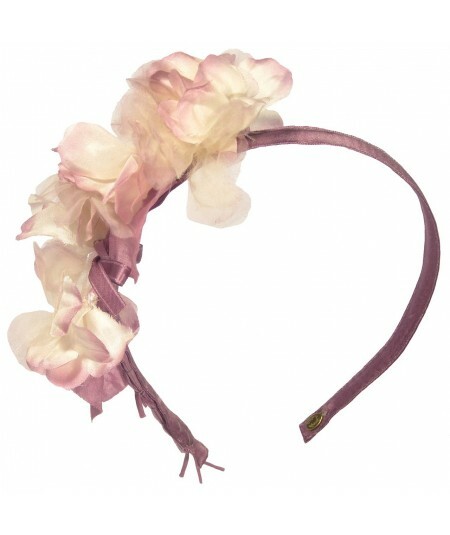 Frida Inspired Headpiece with Vintage Flowers - a mixture of vintage and new flowers at the side of narrow grosgrain headband. 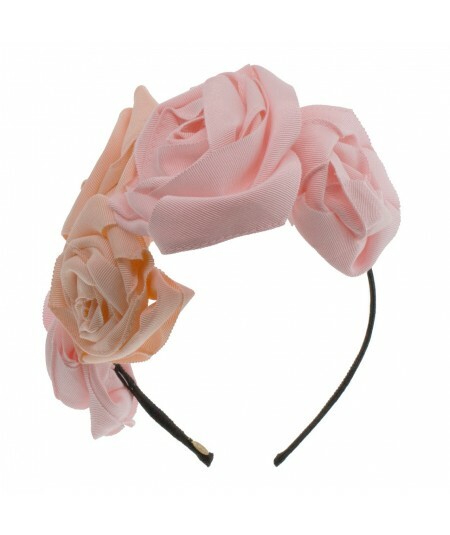 Pale Pink and Peach Mixed Roses made of Grosgrain Ribbon by hand. 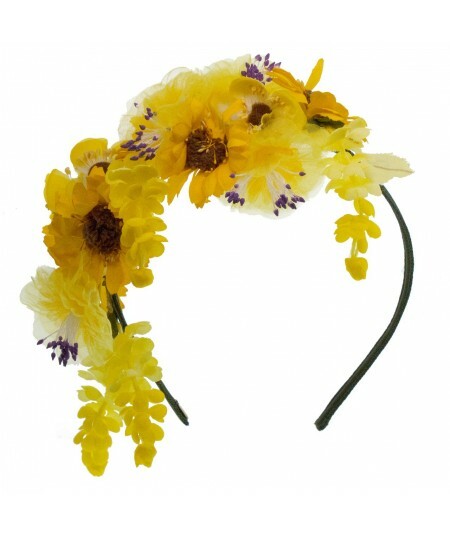 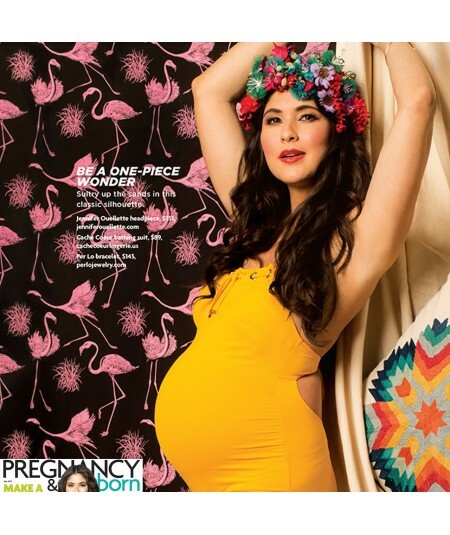 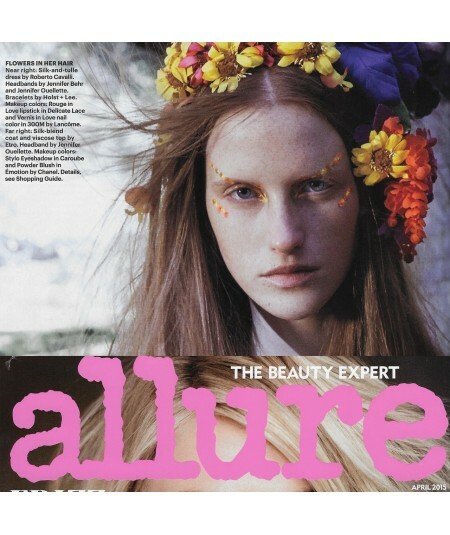 Frida Kahlo Inspired Floral Headpiece - a mixture of Yellow Vintage and new flowers. 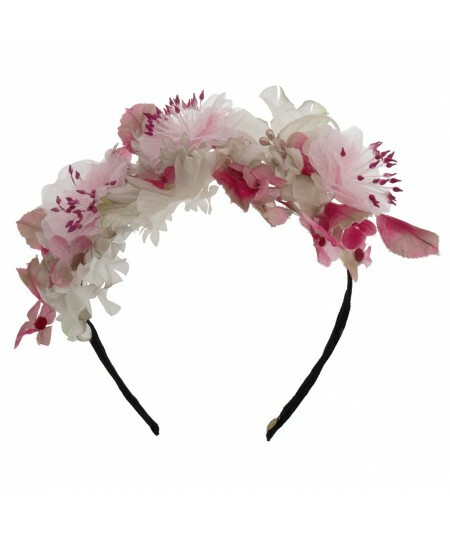 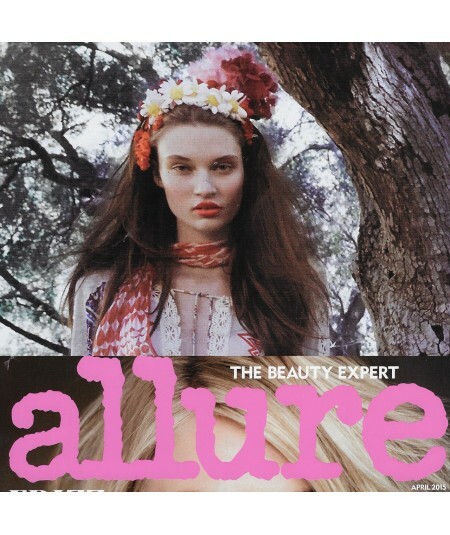 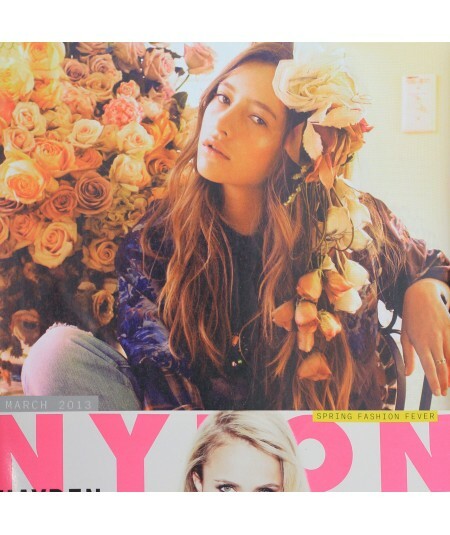 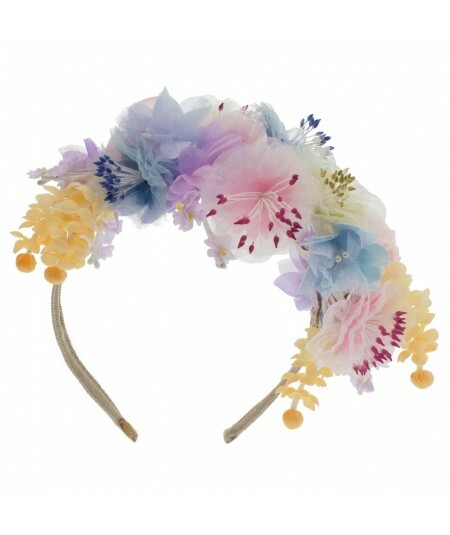 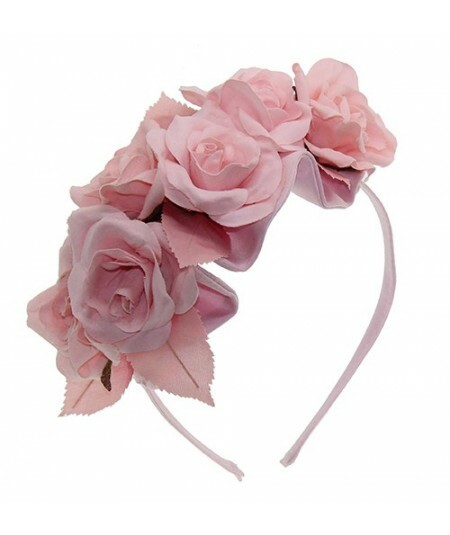 Pastel Floral Frida Inspired Headpiece made of Vintage and New Flowers. 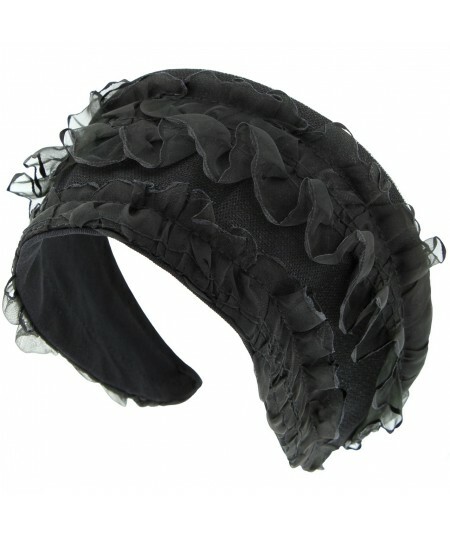 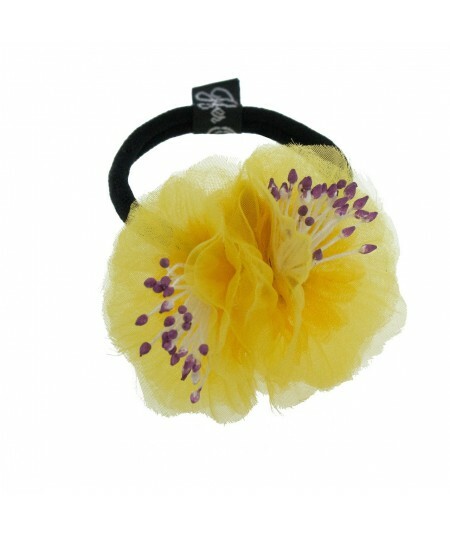 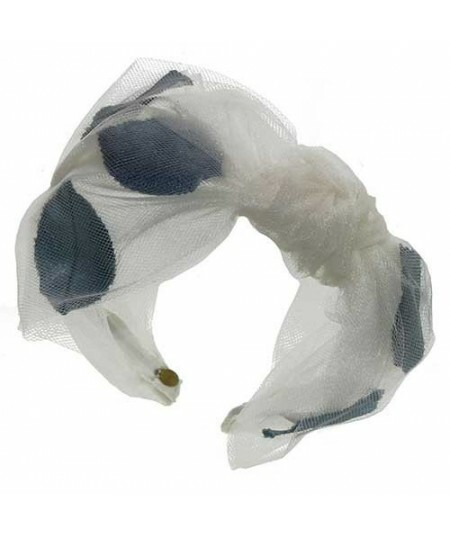 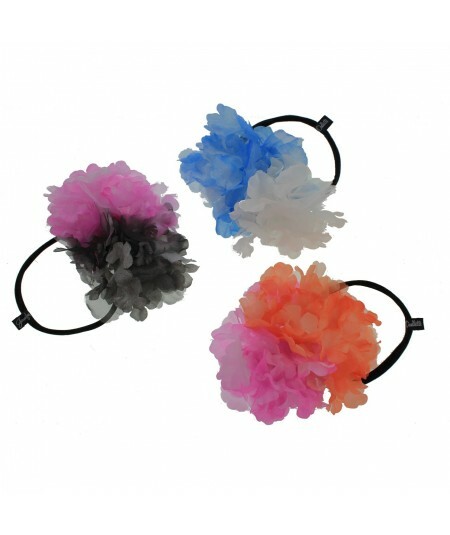 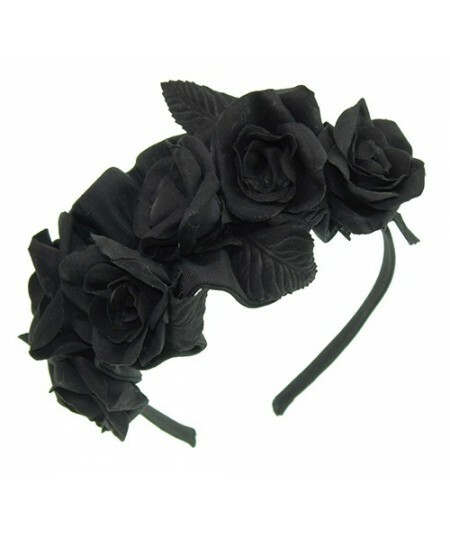 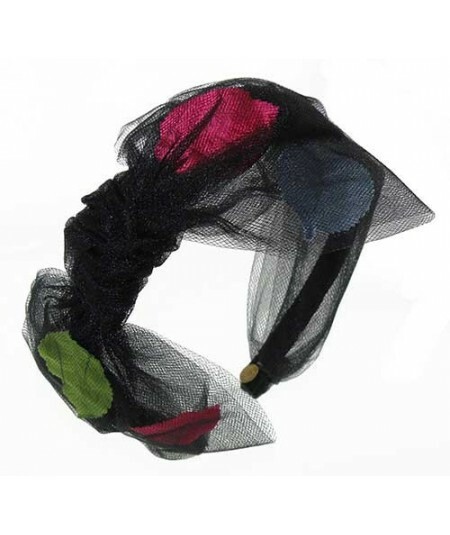 Double Flower Ponytail Holder. 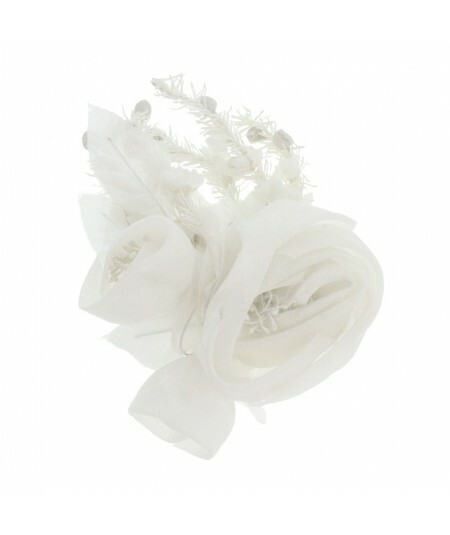 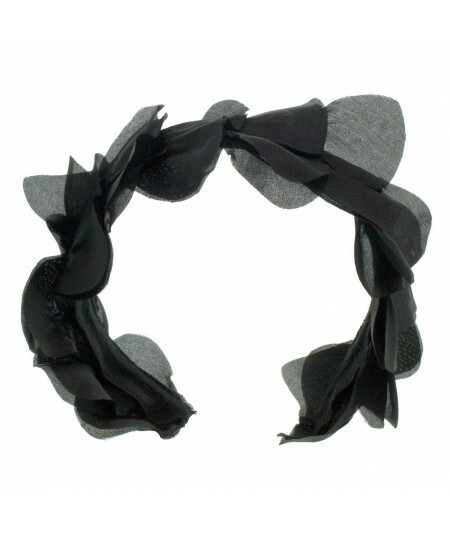 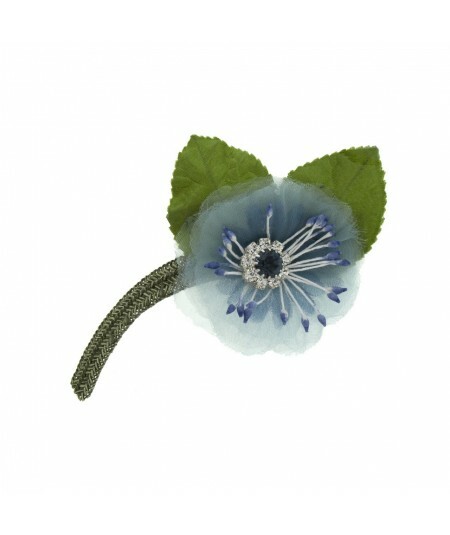 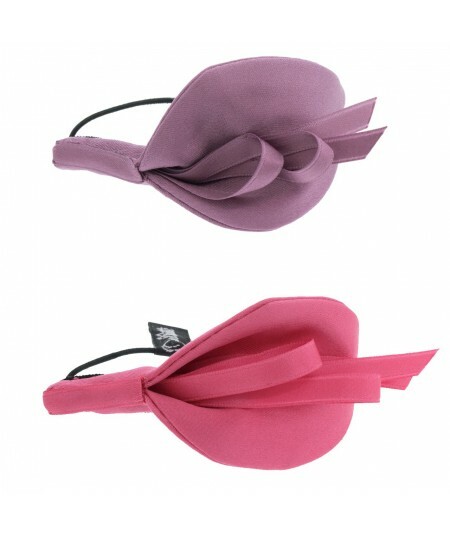 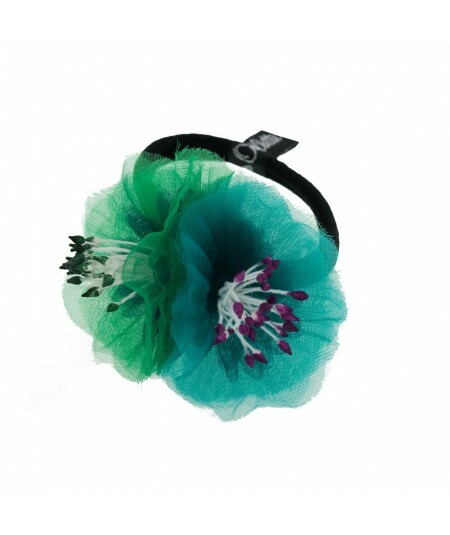 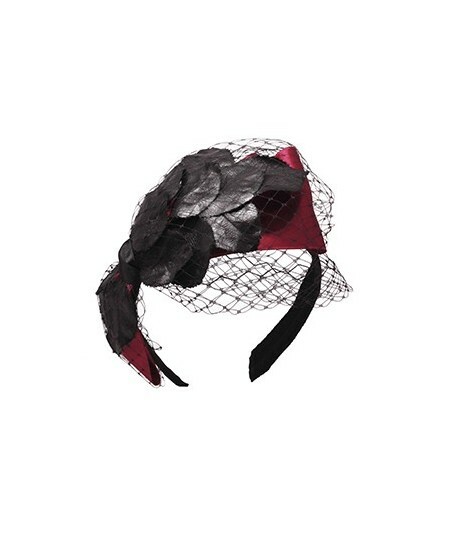 Vintage Inspired Organza Fluffy Petite Flower with Peps.